Celery and its juice have immense nutritional value and many health benefits. 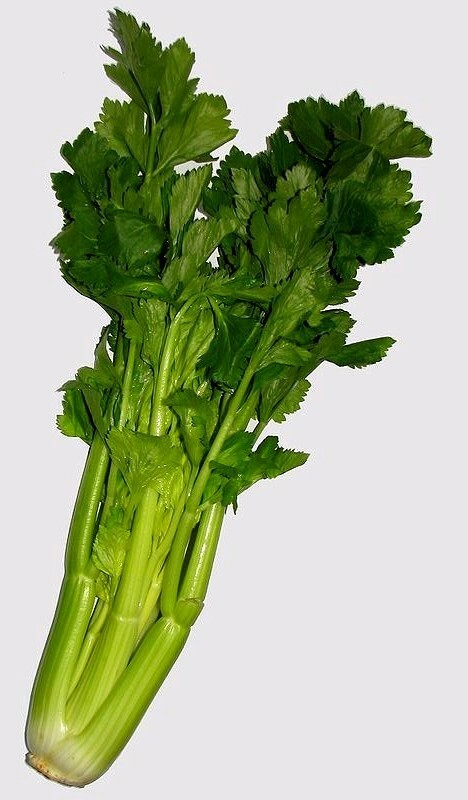 Celery belongs to the family Apiaceae (aka Umbelliferae) and species Apium graveolens. It is a biennial vegetable having a life cycle of two years, grows up to one meter in height and has pinnate to bipinnate leaves. In celery the leaves are carried on long green stalks joined at the bulbous root. The green leaves, stalks and bulbous root are rich sources of vitamins, dietary minerals, dietary fiber, antioxidants and other nutrients giving many health benefits. Celery and its juice contain very high amounts of nutrients like vitamin K which benefit us in blood coagulation. Vitamin K also has a vital role in metabolic pathways in bone and other tissues. Celery is a good source of Vitamin A, vitamin C, vitamin B1, vitamin B2, vitamin B5 and vitamin B6. Among minerals nutrients celery and its juice contain good amounts of potassium, Calcium, magnesium, manganese and sodium. The high content of nutrients like dietary fiber gives health benefits like lowering of glycemic index and blood sugar. The major antioxidants in celery juice are vitamin A, vitamin C and coumarins. The juice also contains antioxidant flavonoids like apigenin and luteolin. During the biochemical metabolic processes in the human body free-radicals are formed which cause oxidative stress to body and can start chain reactions inside the cells causing damage or death of cells. Antioxidants inhibit oxidation of other molecules by neutralising the free-radicals and extend many health benefits. Oxidative stress contributes to development of many diseases like rheumatoid arthritis, Alzheimer's disease, Parkinson's disease, amyotrophic lateral sclerosis, atherosclerosis, cardiovascular diseases, osteoarthritis, diabetes and neurodegeneration. The phthalides (sedanenolide and 3n-butylphthalide) present in celery, especially its seeds, are found to be effective in the treatment of high blood pressure. Phthalides show anti-hypertension effects by relaxing the wall muscles of arteries, improving microcirculation and reducing the body fluids. Further celery also contains phytochemical nutrients known as coumarins. These phytochemicals show anti-hypertension activity. The presence of good amounts of nutrients like calcium, potassium and sodium in celery juice helps in maintenance of water-electrolyte balance. Electrolytes like calcium, potassium and sodium play a vital role in maintaining homeostasis within the body. These nutrients are important for regulating muscle, heart and neurological functions, maintaining fluid balance, acid-base balance and oxygen transport. The coumarin compounds present in celery juice are reported to have anti-cancer activity. Other health benefits reported for coumarin compound nutrients include anti-HIV, antiseptic, pain relief, anti-arrhythmia, anti-inflammatory, bronchodilating, anti-osteoporosis and anti-lymphedema effects. Allergies and anaphylactic shock due to celery juice? Like peanuts, celery and its juice also has some allergens which can trigger severe allergic reactions sometimes leading to anaphylactic shock. Its seeds have the highest amount of allergens followed by roots and then stalks. Unlike peanut allergy which is most prevalent in United States, allergy to celery is most prevalent in Central European countries. However health benefits of juice outweigh possible allergies. After a workout celery juice is a perfect health drink as it benefits the body by replacing lost eletrolytes, especially nutrients like sodium. Amla fruit juice nutrients and health benefits. MRI scans - uses, benefits and risks. Uses of aspirin for prevention of cancer in general and colorectal cancer in particular have been examined in recent epidemiological studies. The findings support use of aspirin for colorectal cancer prevention. The exact mechanism of malignant tumor prevention by aspirin is not well understood. Probably by inhibiting prostaglandin synthesis, these non-steroidal anti-inflammatory drugs may be activating immune reactions and inhibiting the synthesis of tumour promoters. Aspirin (acetylsalicylic acid) has been in use as an analgesic, antipyretic and anti-inflammatory agent. In low-dose it is recommended for prevention of cardiovascular disease related problems like ischemic stroke or myocardial infarction (heart attack). Research data have shown that daily aspirin may help in prevention of several malignant tumors and the risk of local and distant metastasis. In two meta-analysis led by Professor Peter Rothwell of the Nuffield Department of Clinical Neurosciences, University of Oxford and his colleagues, published in The Lancet (Volume 379, Issue 9826, Pages 1602 - 1612, 28 April 2012) and The Lancet Oncology (Volume 13, Issue 5, Pages 518 - 527, May 2012) found that regular use of aspirin reduces the long-term risk of several malignant tumors and the risk of distant metastasis; the short-term reductions in malignant tumor incidence and mortality add to the case for daily aspirin in prevention of malignant tumors. Lynch syndrome (HNPCC) is due to autosomal dominant genetic mutations impairing DNA mismatch repair. 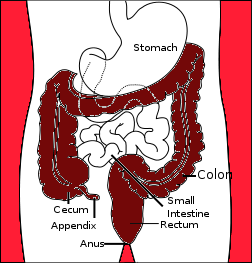 Apart from colorectal region Lynch syndrome can affect many of the visceral organs, brain and skin. Individuals with Lynch syndrome have 80% lifetime risk of affliction of colorectal region and 66% of these in the proximal region. Prof Sir John Burn MD and colleagues in their research published in The Lancet (Volume 378, Issue 9809, Pages 2081 - 2087, 17 December 2011) interpreted that "600 mg aspirin per day for a mean of 25 months substantially reduced cancer incidence after 55·7 months in carriers of hereditary colorectal cancer. Further studies are needed to establish the optimum dose and duration of aspirin treatment." There are other ways of prevention of these colorectal malignant tumors. It is advised that people above 50 years should get themselves tested for precancerous polyps. If found their surgical removal will help in the avoidance of formation of malignant tumors. The epidemiological studies have shown a consistent relationship between aspirin use and colorectal malignant tumor prevention. However various research aspects, like optimum dosage requirements, ideal duration of therapy, risks involved in long-term use and effects on termination of therapy, require further elaborate studies. Considering its known side effects like allergies, increased risk of developing hemorrhagic stroke or peptic ulcer disease, aspirin is not suitable for every individual. Only when the benefits of treatment outweigh the risks involved, its use for prevention of colorectal cancer should be considered in individuals prone to aspirin allergies, high blood pressure, ulcers, hemophilia (bleeding disorder) or hemorrhages. Nearly 5% of the adults suffer from chronic daily or frequent headaches caused by a myriad of factors. In some cases the causes for daily occurrence are not well understood and are idiopathic in nature. Daily or frequent headaches require a medical evaluation. There can be a systemic cause for which the present condition is only a symptom. One of the cause of frequent episode is the disturbance in the processing of pain signals in the brain. The pain signals may have been interpreted with exaggerated response. Excess caffeine (in tea and coffee), sulfides (in red wine), allergic reactions, defective eye sight, eye strain, chronic ear infections and carbon monoxide poisoning may also cause daily occurrence. The following secondary causes may also be considered during evaluation. In many cases of frequent headaches the cause have been found to be frequent use of pain-killers. Use of analgesics for three days in a week or nine days in a month can cause rebound effect and daily headache. A vicious cycle occurs whereby frequent headaches cause the person to take frequent medication. In such cases treatment becomes difficult as the treatment itself becomes the cause of malady. In people with migraine, the episodes occur 1-3 times a month or less. In some the occurrence becomes frequent or daily. To get over it proper preventive treatment is necessary. People who are prone to tension headaches can slowly develop daily episodes. Tight contractions of muscles in the head, neck and shoulders due to anxiety, stress or lack of sleep usually are the causes. Treating the condition and preventing the underlying cause may bring relief. 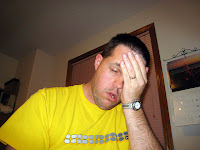 Some people, who never had headache of any type suddenly develop persistent daily headache. International Headache Society (IHS) has classified it as a Primary Headache Disorder by the ICHD-2 classification system. NDPH is unique and is continuous daily pain. It may be varying in intensity and very rapidly build up to continuous and unremitting pain. There is no specific treatment for this condition. It often does not respond to preventive or abortive medications. In some small studies preventive individual treatments with gabapentin, topiramate and doxycycline have been found to successful. The inflammation of sinus (sinusitis) creates pressure and precipitate frequent headaches. Sinusitis due to infections in the sinus. In chronic sinusitis the pain becomes a daily feature and is severe when the affected person bends down. Treating and curing sinusitis with anti-inflammatory drugs and antibiotics can bring relief from pain. If a person suffers from frequent headaches after a head or neck injury, it could be a serious condition. If a sensation of whirling and loss of balance (vertigo) also accompanies then it is an emergency situation requiring thorough medical investigation. There is a great possibility of damage to nerve tissues of the brain or spine. Persons suffering from meningitis also have daily or frequent headaches. Meningitis is a bacterial infection of the meninges membranes covering the brain and spinal cord. Other symptoms of meningitis are fever, chills, nausea, vomiting, confusion and seizures. The health condition of the patient with meningitis deteriorates quickly requiring immediate medical care. There is also viral meningitis with similar symptoms. 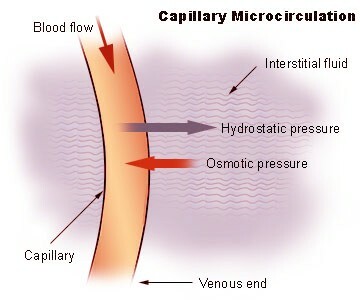 Dehydration, especially chronic dehydration is found the cause daily headaches. As children are more prone to dehydration, they may also suffer from this condition. Over consumption of coffee or alcohol, diuretics, strenuous exercise, antihistamines and calcium channel blockers can cause loss of considerable amount of water and electrolytes from the body. Taking sufficient water will solve this problem. Excess loss of body salts through profuse sweating can also produce this pain and one may have to take sports drinks. The monthly fluctuations in the levels of estrogen and progesterone hormones can cause frequent headaches in women. During the menopause frequent headaches are produced as there is fluctuation in the levels of hormones and also there is a drop in the levels of estrogen. or pain and stiffness in the neck are present. Seek medical help and have your frequent headache evaluated. The cause could be an underlying serious health condition. http://www.flickr.com/photos/exalthim/ by Mr.Thomas under (CC BY-SA 2.0). 1. Fumal A, Schoenen J. Tension-type headache: current research and clinical management. Lancet Neurol. 2008:7(1):70-83. 2. Scottish Intercollegiate Guideline Network (November 2008). Diagnosis and management of headache in adults. Edinburgh. ISBN 978-1-905813-39-1. 3. Halker RB, Hastriter EV, Dodick DW. Chronic daily headache: an evidence-based and systematic approach to a challenging problem. frequent causes. Neurology. 2011;76(7 suppl 2):S37-S43.